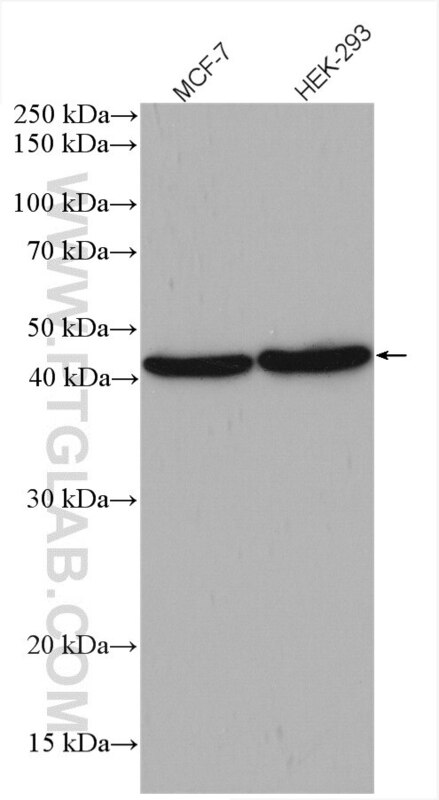 IP Result of anti-BMP7 (IP:12221-1-AP, 4ug; Detection:12221-1-AP 1:800) with HEK-293 cells lysate 2800ug. The bone morphogenetic proteins (BMPs) are a family of secreted signaling molecules that can induce ectopic bone growth. Many BMPs are part of the transforming growth factor-beta (TGFB) superfamily. BMPs were originally identified by an ability of demineralized bone extract to induce endochondral osteogenesis in vivo in an extraskeletal site. 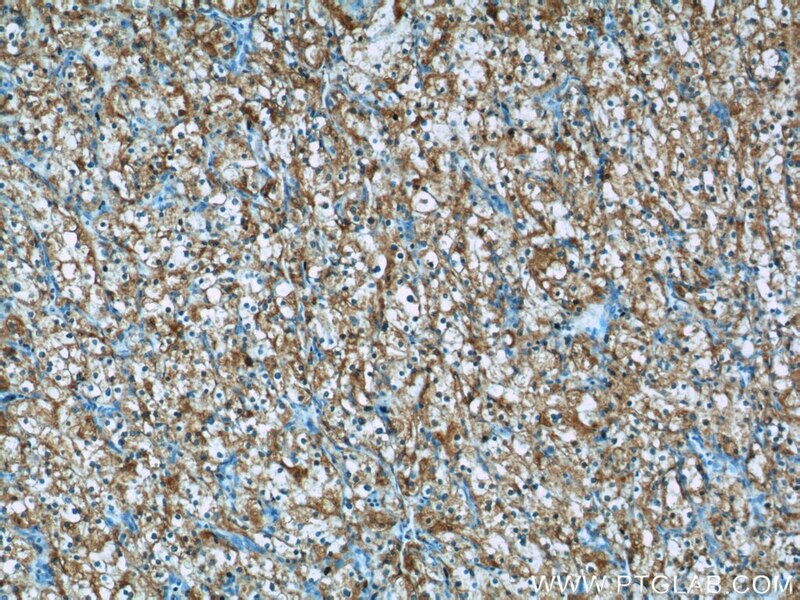 BMP7, also known as osteogenic protein-1 or OP-1, plays a key role in the transformation of mesenchymal cells into bone and cartilage. 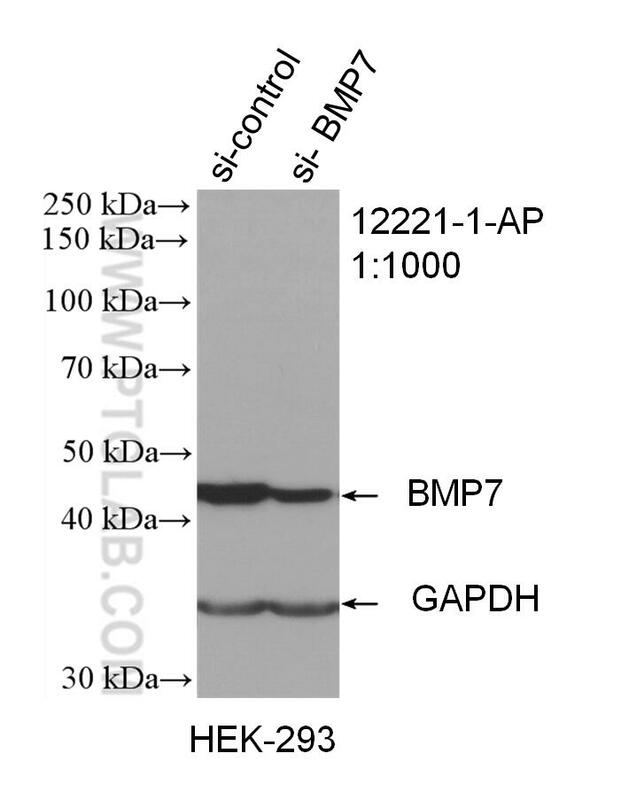 BMP7 may be involved in bone homeostasis (PMID: 15621726). 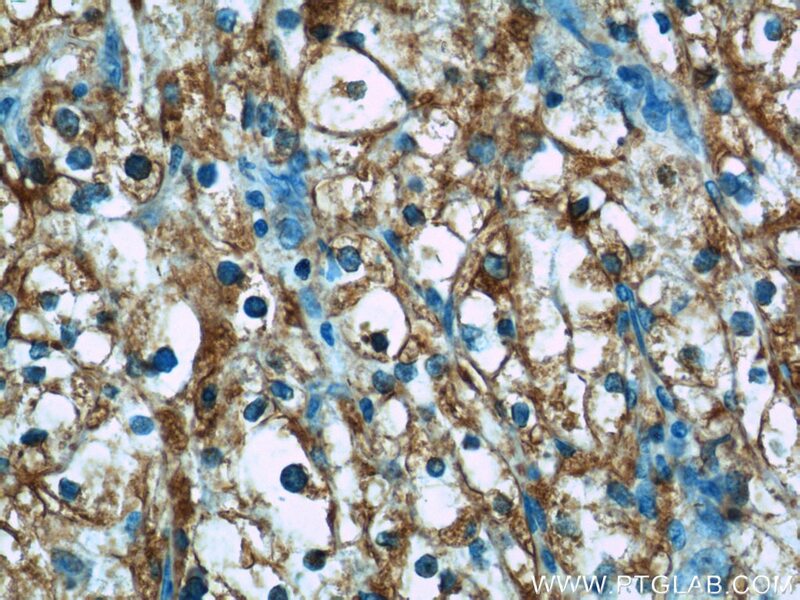 It is expressed in the brain, kidneys and bladder. 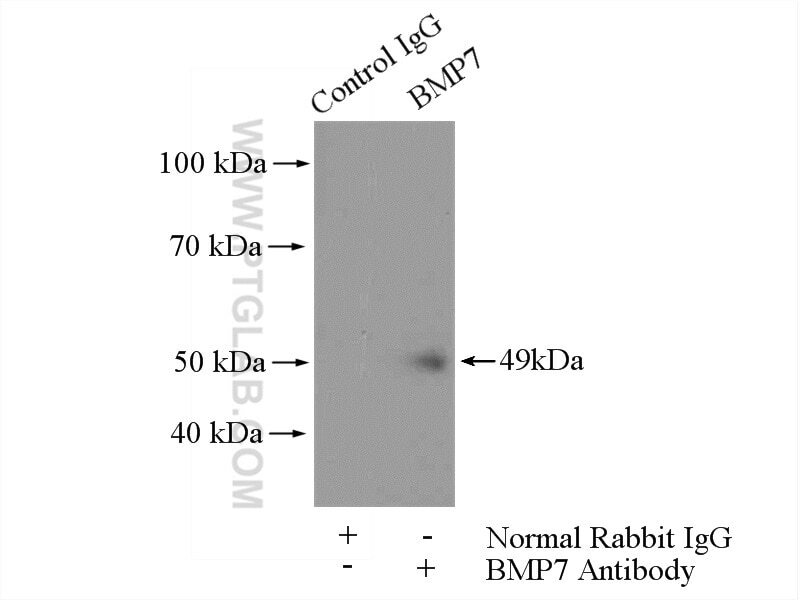 BMP7 is also present in cancers, including breast, prostate, and colon cancers, in which it is implicated in regulating cancer cell proliferation (PMID: 16419056, PMID: 15531927). 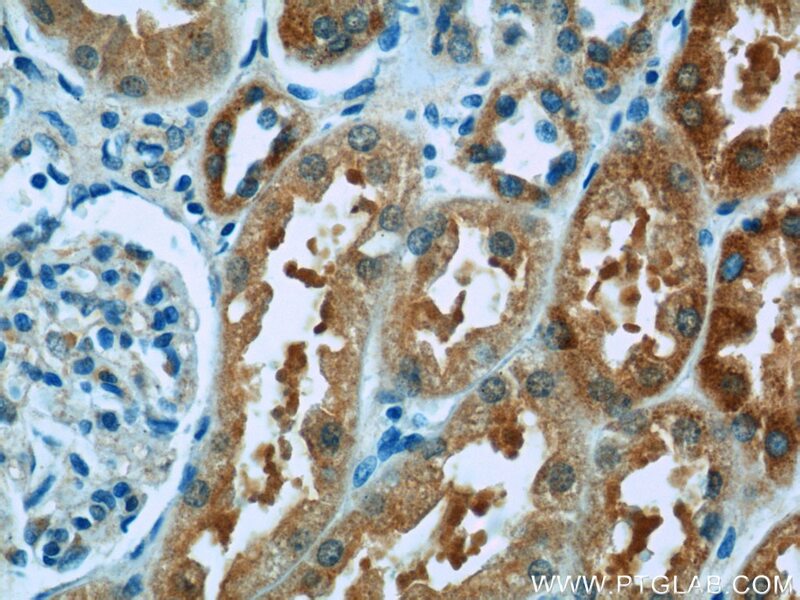 Overexpression of BMP7 mRNA in colorectal cancer patients was significantly associated with poor prognosis and low overall survival (PMID: 18259822). 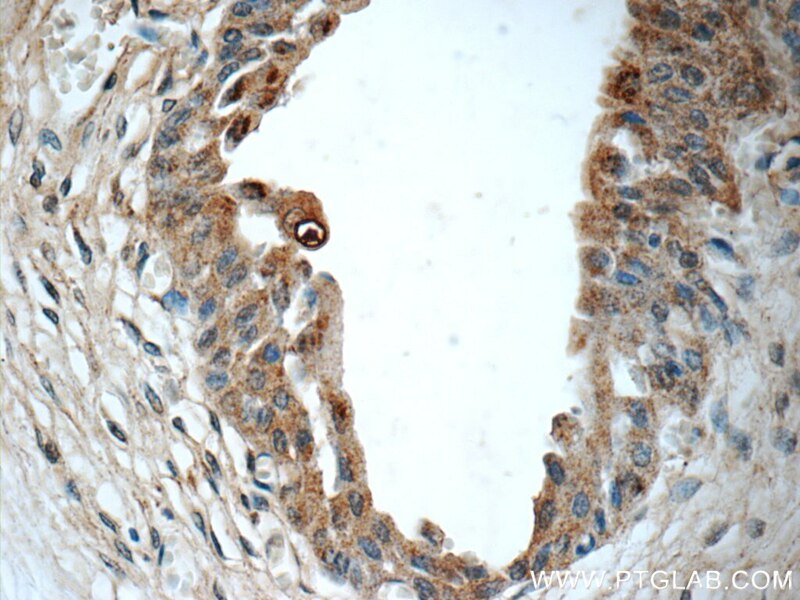 Recent studies suggest that high-expression level of BMP7 serves as a biomarker for poor prognosis for HCC (PMID: 23179403). 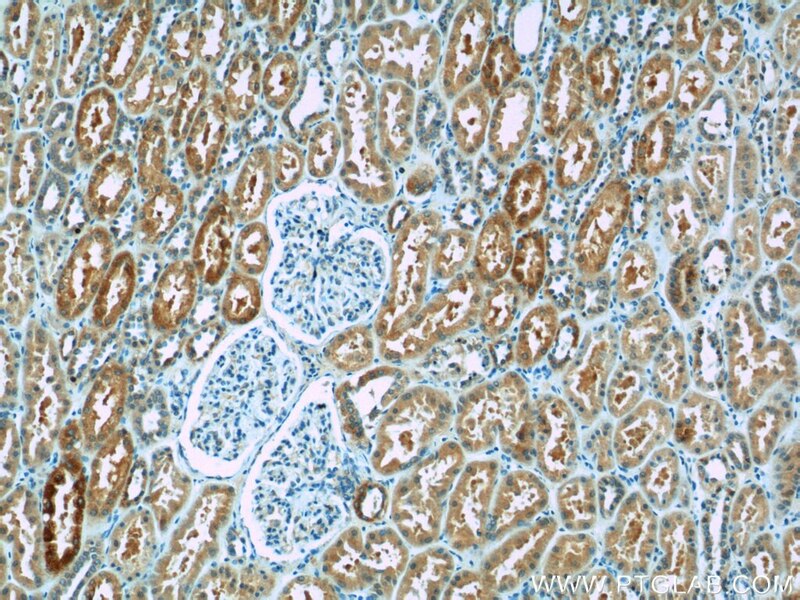 Prognostic significance of BMP7 as an oncogene in hepatocellular carcinoma. MiR542-3p Regulates the Epithelial-Mesenchymal Transition by Directly Targeting BMP7 in NRK52e. Tcf4 Controls Neuronal Migration of the Cerebral Cortex through Regulation of Bmp7. 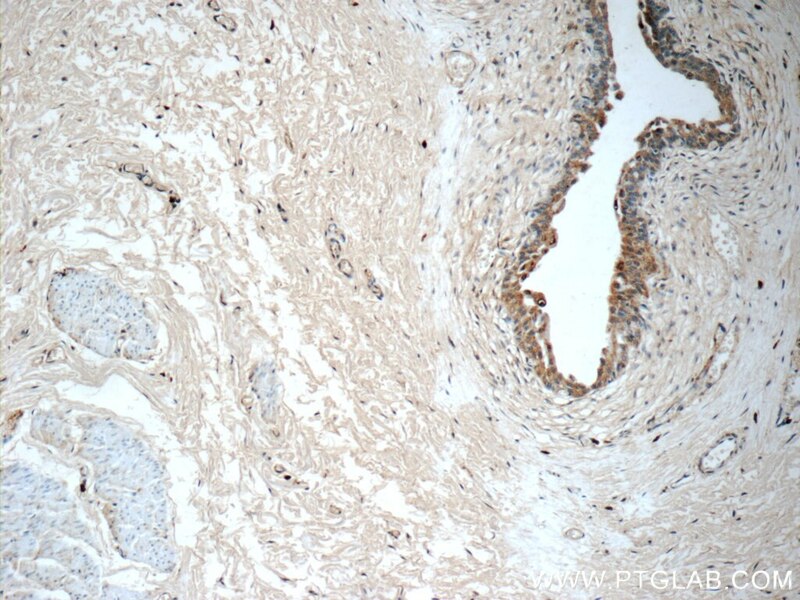 miR-4739 mediates pleural fibrosis by targeting bone morphogenetic protein 7.